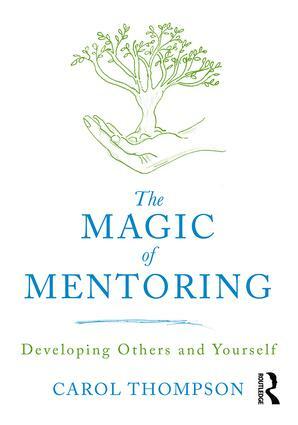 The Magic of Mentoring offers an introduction to the theory and practice of successful mentoring together with a unique focus on how mentors can reflect on the skills they bring to the role, and those they still need to develop. Through the use of scenarios, reflections and stories, the reader is encouraged to apply the content to a real context, demonstrating the importance of reflection for both parties and the benefits derived from this, especially those related to understanding ourselves and others. Written by Carol Thompson, who has worked with a range of trainee teachers and mentors, this book draws from the author’s own experience to explore the importance of self-development, and the ways in which this can be enhanced through practice. Reviewing key themes in relation to mentoring, including models and current practice, it considers the creation of a nurturing environment through effective communication as well as acknowledging the need to generate the right challenge for mentees. All aspects of mentoring are outlined, emphasising how personal development can improve the experience of your mentees, build your own confidence, enhance your transferable skills, and advance your own professional practice and relationships. Engaging activities are provided for mentors to undertake to support their own professional development. The Magic of Mentoring is an ideal guide for all those studying coaching or mentoring on a formal programme or for anyone who mentors others in formal or informal settings. The structure of 15 concise chapters lends itself to referencing back and targeted reading for specific guidance.